St Patrick's Day Banner, St. Patricks Day Party Decor, St Patty's Party Banner, St Patricks Party Signs, Printable Instant download. 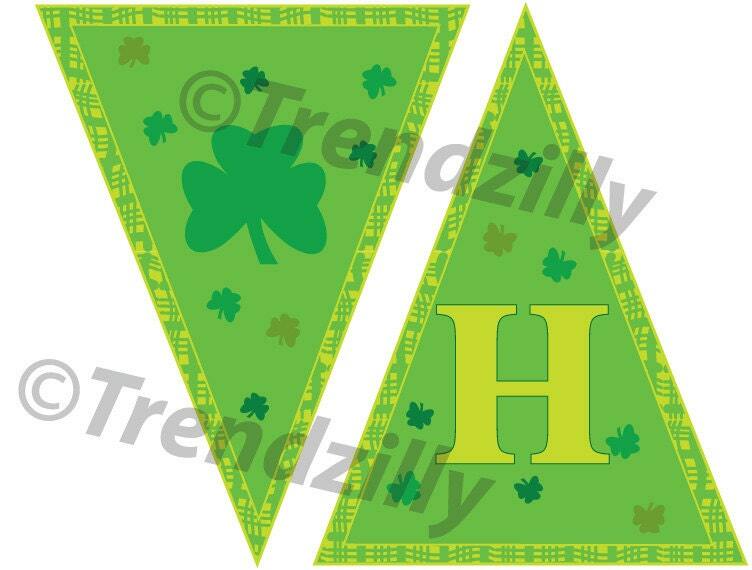 St. Patrick's Day Party Banner, printable. 2 flags per page. ~ St. Patrick's Day Banner, simply print on white paper cut out and string up with ribbon, string or whatever, you can embellish as you wish.